eyeglasses, which are worn by many men and women. Over the last 40 years, contact lenses have also gained significant popularity among individuals who need their vision corrected. A third option is LASIK eye surgery, and this alternative offers many benefits that are not associated with contacts or glasses. However, it is also essential to ensure that a qualified LASIK surgeon completes the procedure. Almost everyone who wears eyeglasses or contact lenses would probably agree that regardless of how well they fit and in spite of the benefits they offer, such vision aids are associated with certain restrictions. For example, those who must wear corrective lenses at all times may find it difficult to participate in certain kinds of activities. For example, it can be somewhat challenging to enjoy water sports if one must be concerned about accidentally losing a contact while swimming or surfing, or having his or her contacts damaged by saltwater. Similarly, it is difficult to enjoy high-energy sports if the participants must worry about keeping their glasses in place. Vision aids of this type can be expensive to replace, and for this reason many individuals forfeit games and other activities they would have otherwise enjoyed if it were not necessary to wear contacts or glasses. Losing such items is also an unfortunate occurrence that almost everyone has experienced at one time or another. It is a sinking feeling to have spent a considerable sum of money on expensive frames and customized lenses only to discover that they have been misplaced and cannot be found. Contact lens wearers may have similar experiences, such as losing a contact at work or in a public place where it is difficult to locate and would likely be ruined anyway by the time it is found. 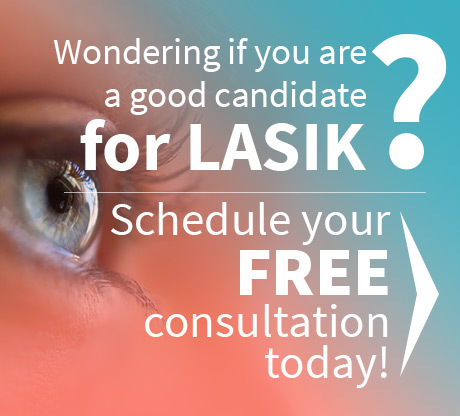 These and many other unfortunate scenarios can be completely eliminated if an individual chooses LASIK eye surgery. Additionally, experts have discovered that the risk of contracting eye infections as a result of contact lens contamination is higher than the risk of complications following the corrective surgery, provided it is completed by a qualified LASIK surgeon. There are several variations of the procedure, some of which are more advanced than others. The technique preferred will vary somewhat from one LASIK surgeon to the next. Therefore, it is important for prospective patients to discuss the different options with the surgeon they have selected. 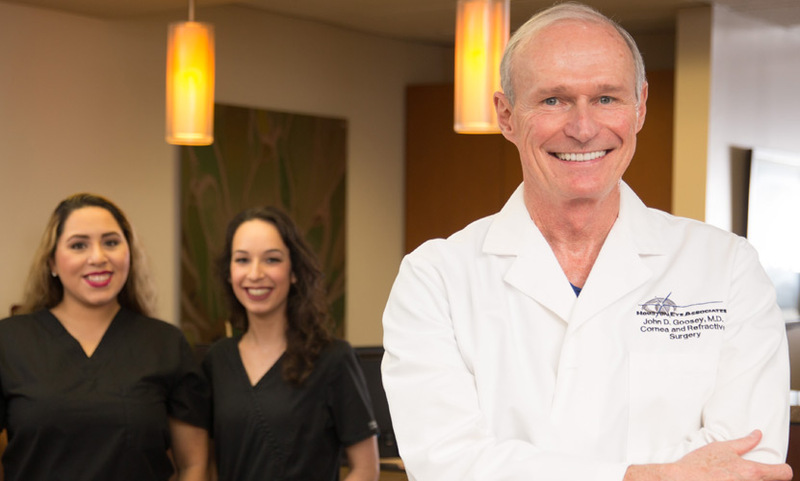 Dr. Goosey is one of the few ophthalmologists in the United States that uses the Allegretto Wave system – the first new laser approved by the FDA. Because the FDA recognized the astounding clinical accomplishments made during the clinical trial, they granted the widest approval range ever initially provided to a new laser for both hyperopic and myopic vision. Since then, the clinical results from the Allegretto Wave in the hands of a cornea specialist have continued to be incredibly positive, as manifested by the following historical clinical outcomes. Regardless of which technique is used, the success rate of LASIK surgery is very high and it is not associated with a significant number of complications. Visual improvements are almost instant; however, patients are given specific postoperative instructions that must be followed, and a return visit is typically scheduled the day after the procedure to make sure that the outcome was satisfactory. 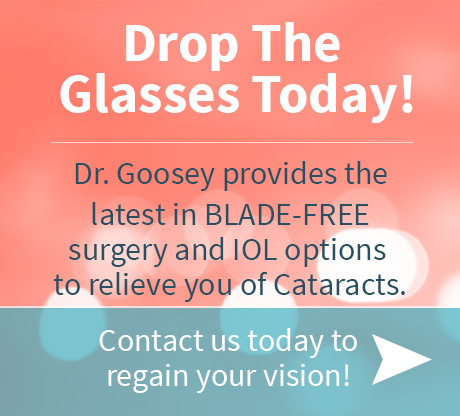 Individuals who think they may benefit from permanent vision correction should discuss the advantages and disadvantages of corrective eye surgery by contacting Dr. John Goosey, one of Houston’s top LASIK surgeons!